Figuring out how to dress before stepping out the door for a run is always challenging. Many factors come into play and almost all of them revolve around your comfort while running. I suppose style and looks are important as well but being comfortable is hopefully your first priority because if you aren’t comfortable you won’t be able to enjoy what is typically the highlight for us runners’ days. You are not going to feel the same throughout your run as you do the second you step out the door. I don’t care how many runs you’ve done, this is the most deceptive part of planning what to wear. You can be chilly stepping out into a cold morning and 10 minutes into your run be roasting hot. I can not tell you how many times this has happened to me. I then proceed to shed layers and am left trying to figure out what to do with all my clothing as I am just getting going. To solve this you will need to learn through experience in all temperatures. Even then it is still hard and you will more likely than not need to wear something to carry some of your shedded layers. I personally wear running belt that allows me to stuff my extra shirt, buff or gloves into. A lot of people will simply tie their shirt around their waste or wear a running pack which affords much more space. The big take away is to plan the most likely temperature rise in your body. Cool temperatures are not the only thing to worry about. As a runner you are constantly placing yourself out in nature in all season. Here in Reno Nevada we are in a high desert four season climate right next to the Sierra Nevada Mountains. We get everything from high winds, extreme heat, blizzards, months of sunshine to even dense smoke from wild fires. The Reno Running Company has apparel all these conditions. However, we do recommend running indoors during poor air quality, but also recommend running outdoors the rest! Psh! There is no such thing. Put on some sunglasses, a good sun protective shirt and a hat. Don’t forget sunscreen on all exposed skin. Many places are gray and gloomy most of the year but not Reno or Lake Tahoe! We are lucky. As a foreign exchange student in Australia I used to hear the say “Slip, Slap, Slop” in regards to the sun and still remember it today. Slip on a shirt, Slap on a cap and Slop on some sunscreen. Never (almost). 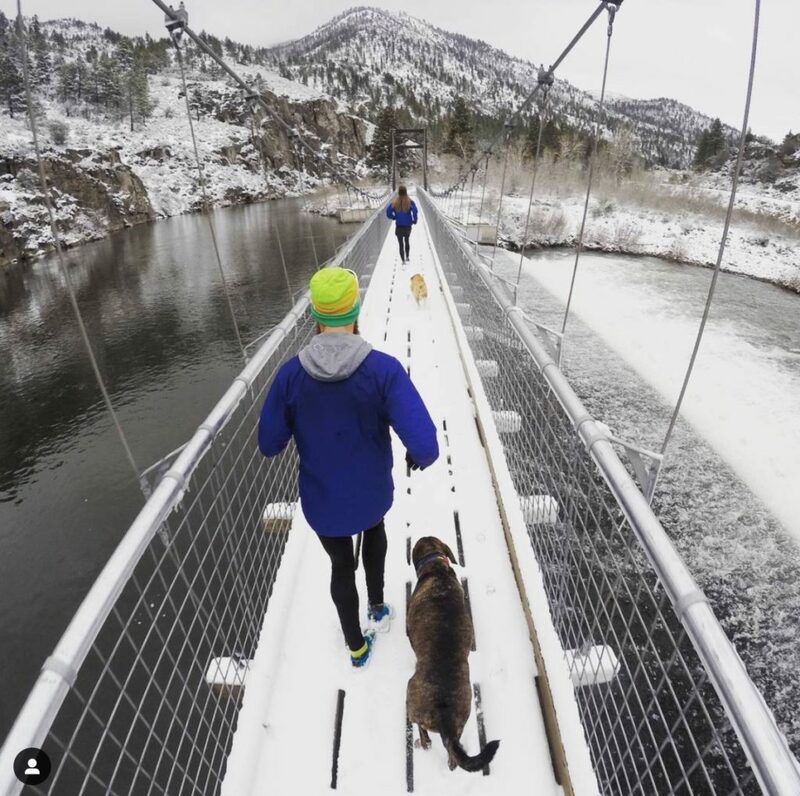 Running in snow can be some of the most fun and memorable runs you will do all year. Bundle up in synthetic layers you can shed once you get going. 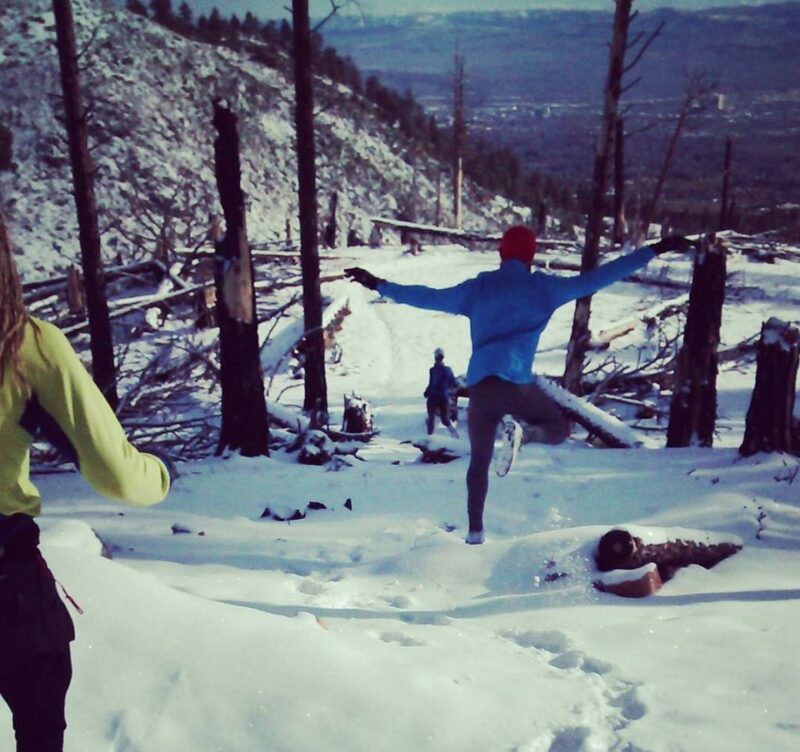 The most important aspect of running in snow is not slipping. We have traction devices in the store that help with this. You may also want to wear gaiters on your shoes to keep the snow out of your ankles. What about wet feet you ask? Yes, I answer. There is nothing wrong with wet feet. The heat your body generates from running will keep them warm for the most part. 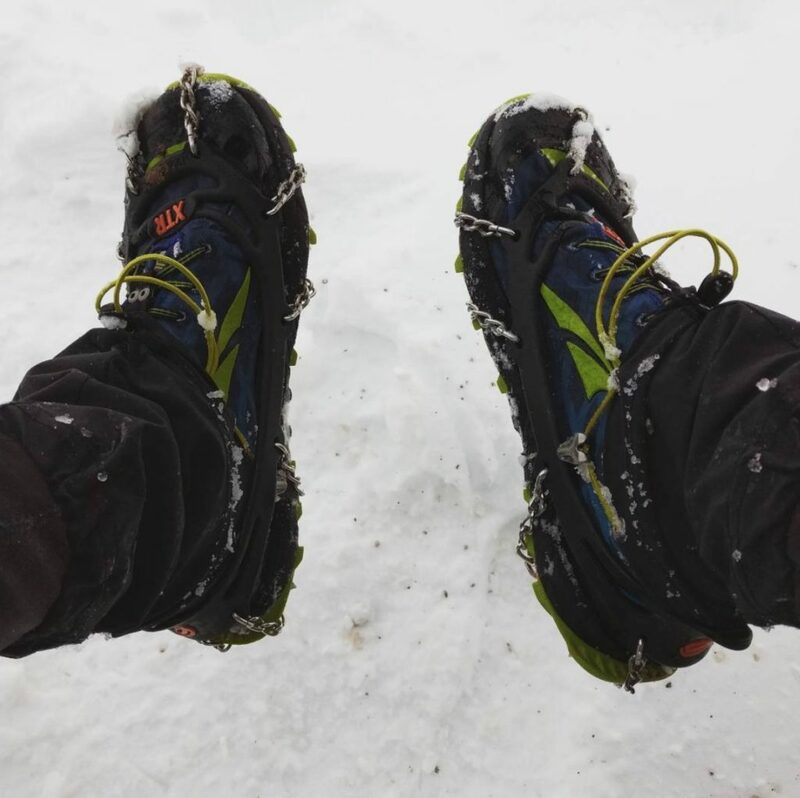 Learn to toughen up and embrace wet feet as you frolick in the the snow. Pro-tip: Don’t wear eyewear while it is snowing. Wear a cap to shield the snow from hitting your eyes. Glasses will simply get wet and make it hard to see. Reno is a pretty windy city. If I decided not to run when it was windy that would cut my volume in half. Learn to embrace it the wind. For starters, a windbreaker jacket is paramount. I can not tell you how many times I’ve been running in a sheltered canyon getting hot and sweaty only to crest a ridge line and be blasted with wind. I instantly feel freezing cold. This is where I whip out the windbreaker and return to comfort. Windbreakers are great because they are super compact and light. A Buff is also a great piece of apparel to take when running in any weather. I wrap mine around my wrist when I am not using it but if the wind picks up you can slap it on like beanie or headband. Yes, the heat can make running less fun and often shorter than maybe intended but it shouldn’t stop you from getting outside. The best option in the summer months is to try to run in the mornings. If that isn’t an option for you then dress appropriately. See Too Sunny. Many of the same guidance applys to running when it is too hot. I also recommend wear very breathable running shorts, light socks with shoes that are breathable as well. Use a hydration pack or handheld to carry fluids with you. Be mindful of you temperature and do not run too far for too long. 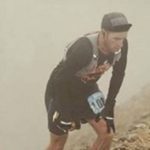 As you run year round you will eventually learn that choosing the proper clothing for the conditions will greatly affect your enjoyment on the trails or roads. Come in to one of our stores and on one of our associates can recommend the best apparel for the type of running you will be doing.